NAMPA, ID — Doubling its business in just under 36 months has meant a lot of hard work for the team at Dealers Auto Auction of Idaho, but facility improvements and new consignors have put the auction on pace for a record-breaking 2018. Earlier this year in January the four-lane auction doubled its capacity by adding two double blocks. This allows all four lanes to run four streams of vehicles simultaneously. 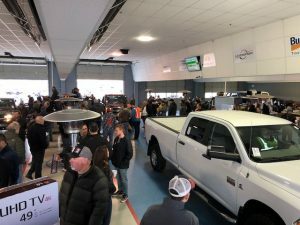 The move, said Britney Egbert, DAA Idaho business development manager, has resulted in more dealers in the lanes, and a more efficient sale that ends about 90 minutes sooner. General Manager Russ Smith built the Nampa sale along with two partners in 2001. Today, the sale located just west of Boise, runs about 450 units each Wednesday, and attracts 200 dealers, plus more who attend online. While that move has helped to attract more dealer buyers, consignors have taken notice. Egbert said the auction now runs lease returns and Canadian units, and has attracted more late-model, lower-mileage vehicles. “We’re seeing more consignors wanting to bring their inventory here, and we’ve attracted more franchise dealer buyers in the lanes,” Egbert said. While improving efficiency and growing consignment and sales, expansion and facilities improvements have also taken place. 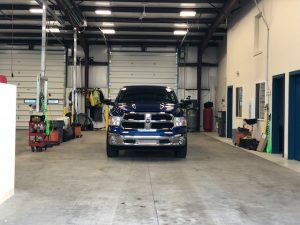 After a delayed start due to an unusually heavy snowfall in early 2017, the auction added a new mechanic shop and expanded its detail center. The auction will also host its 7th Annual Country Charity Concert, Aug. 7-8. Last year the event raised more than $20,000 for three area charities. This year’s concert will feature country entertainers Aaron Tippin, Restless Heart, and Ira Dean.